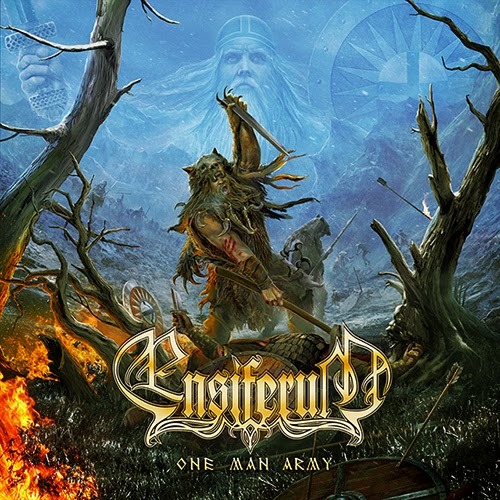 One Man Army is the sixth studio album from Finnish folk metal forbearers, ENSIFERUM. Set to drop next month via Metal Blade Records, the predominantly analog-recorded offering was captured by award-winning producer Anssi Kippo (Children Of Bodom, Impaled Nazarene, Entwine etc.) at Astia-Studios in Lappeenranta, Finland and delivers eleven punishingly epic odes alongside four bonus cuts featuring the band's rendition of Barathrum's "Warmetal," Iron Maiden's "Wrathchild," Uriah Heep's "Lady In Black," and Judas Priest's "Breaking The Law," initially unveiled as the covermount CD of issue #94 of Germany's long-running Legacy Magazine. In anticipation of the forthcoming release, today ENSIFERUM unveils the official new video for One Man Army's title track as well as an in-depth "making of" clip that brings fans deep into the heart of the filming session. ENSIFERUM's One Man Army will be released via Metal Blade Records on February 24th, 2015. 70,000 Tons of Metal voyagers will be able to catch ENSIFERUM's battle-ready live performance next week before the band kicks off a lengthy European live incursion, wielding their swords alongside Insomnium and Omnium Gatherum. See confirmed dates below.